I love these clever (and inexpensive!) birthday party invitations! I know. 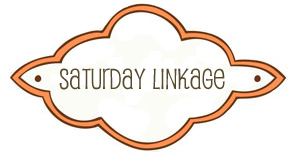 I link to Jen so much I've told her I'm going to stop calling this "Saturday Linkage" and start calling it "Just Go Read Conversion Diary". But seriously. Go read Conversion Diary. “Love Letters” on Valentine’s Day… following your post yesterday… tears and swelling heart again. Thank you, Shannon. That we might live real compassion and great love… You do. These are great. Thanks Shannon. Hi Shannon – I loved Meredith’s LEGO invite – she is so creative and the best mom! 🙂 Will have to check out the other links. Happy VDAY! Ah, now I want marshmallow’s, and all I did was read the title. I know, I love Conversion Diary, too. And I found her through you. These look like fun. I’ll have to check them out. Thank you! Your links never fail to knock my socks off. Thank you! And you’re right, Conversion Diary is amazing and Jen is just as wonderful in real life…I think you knew that though. She speaks very highly of you. I just wanted to tell you that I can’t express how much I love that you changed your feed to a full feed. Thank you for the link. I have been out of town and offline for a full four days. :>) I may set a record. As part of my new plan to check stats and Bloglines only twice a week, I didn’t spot it until now. It is thrilling to see my blog mentioned here!